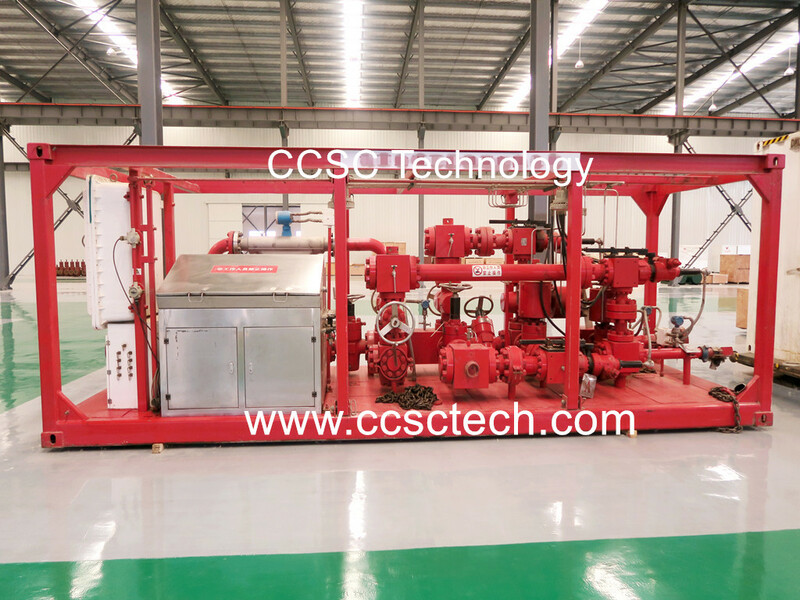 Flow control manifolds provided by ccsc technology is a kind of pressure control choke manifolds,they are the key equipment on oil fields for controlling fluid. Typically, the flow control manifolds are normally used for regulating the flow and pressure of a fluid. Flow control manifolds are normally consist of gate valve, choke valve, spools, plug valve, union flange etc. different manifolds have different structures according to the on-site usage. Typical applications includes oil and gas drilling, oil production, flow back service, fracturing, fluid distribution, shale gas service etc. Flow control manifolds& pressure control choke manifolds can be classified as choke manifolds, choke and kill manifolds, Kill manifolds, well testing manifolds, flow back manifolds, drilling manifolds, production manifolds, Cement manifolds, mud valve manifolds, plug valve manifolds, standpipe manifolds, offshore choke and kill manifolds, diverter manifolds& Distribution manifolds, zipper manifolds, frac manifolds, fracturing manifolds, gas control manifolds, crude oil manifolds, plug catcher ball catcher manifolds, sand filter manifolds, block manifolds, subsea manifolds forgings, Trailer Mounted choke manifolds, skid mounted choke manifolds etc. We CCSC technology are dedicated to improving efficiency and safety in field operations, all kinds of choke manifolds can be designed and manufactured according to user’s requirements.